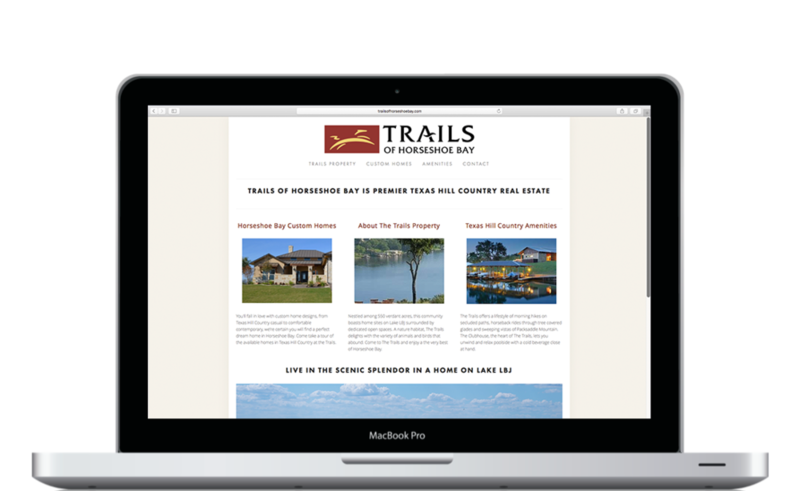 KLN Design was hired by The Trails of Horseshoe Bay, a luxury real estate property in the Texas Hill Country, to help with a rebranding project focused on driving web traffic and increasing deal flow. This project included the design and development of a visually appealing and engaging website, SEO & SEM, social ads, and general design/brand consulting. KLN Design was hired by Imperial Private Equity, a private investment firm out of Austin, Texas, to help design and build a simple, professional website. The key goal of this project was to provide an avenue for prospective customer outreach and general information. Abercrombie Custom Homes is a quality custom home building firm based out of Houston, Texas. Due to the nature of their business, Abercrombie needed a visually appealing website that highlighted their portfolio of homes. My solution was to build an image-intensive site that illustrated not only their large body of work, but also expressed their commitment to quality and meticulousness of detail. KLN Design was hired by Longmont Capital, a private investment firm out of Houston, Texas, to help design and build a simple, professional website. The key goal of this project was to provide an avenue for prospective customer outreach and general information. Custom website currently in progress. KLN Design has been asked to help with redesigning the A&B Valve and Piping Systems brand. This project includes branding, web design and development, and SEO/SEM.